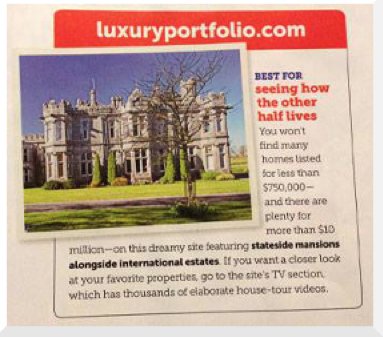 Luxury Portfolio International’s website – which features Sibcy Cline’s high-end listed homes – was named a top “dangerously addictive website” by HGTV magazine in its January/February 2014 issue. Why? All of the amazing homes! 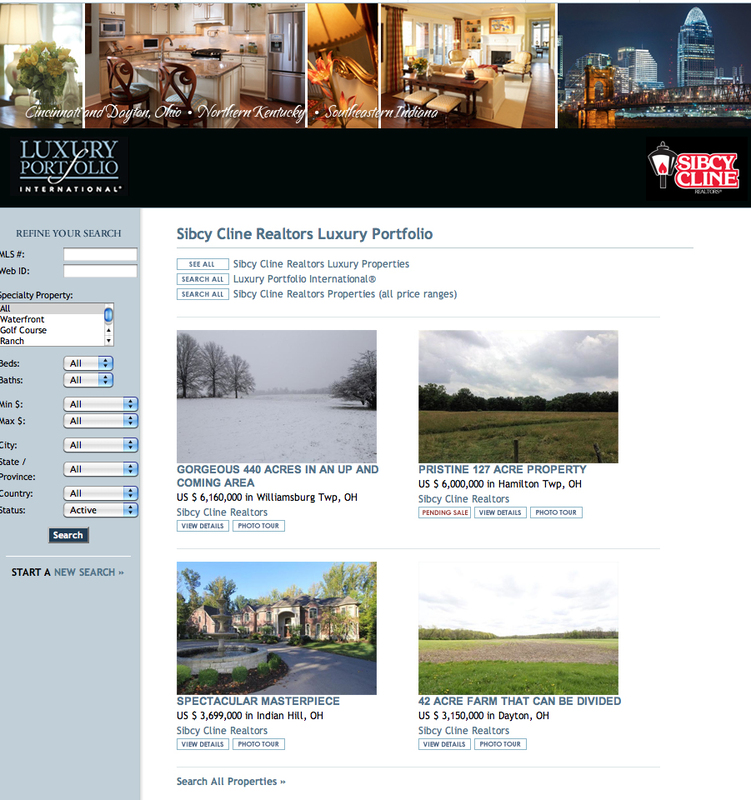 Want to check out Sibcy Cline’s Luxury Portfolio listings? Go here. Would you like to take a peek at a Beverly Hills home owned by Bruce Willis? Go here. How about drooling over a 15,000 square foot home in Hawaii listed for almost $25 million? Go here. Would you like to gaze at a 314-acre retreat? (There is a helicopter pad, 18-hole golf course and a two-mile quarter-scale railway on this estate.) Go here. Note: The Irish castle as seen in the photo above is no longer on the market. I wonder who bought it? Want to know another very addictive real estate website? www.sibcycline.com. There are tons of “Sibcy Surfers” looking at great photos of our listings every hour of every day. This entry was posted in Real Estate and tagged addictive websites, HGTV magazine, Luxury Portfolio International by susanaknabe. Bookmark the permalink.